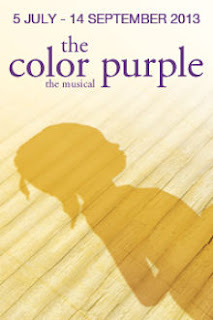 Musical Theatre News: The Color Purple Heading for Broadway? The Color Purple Heading for Broadway? Tickets are like gold dust for The Color Purple at the Menier Chocolate Factory, so it comes as no surprise that The New York Times is reporting it could be heading to Broadway. Director John Doyle has streamlined the musical cutting 30 minuites off the show by stripping away scenes he believes distracts from the story of the central character Celie played in London by Cynthia Erivo to great acclaim. The Broadway premiere played at the Broadway Theatre from November 2005 to February 2008 starring LaChanze as Celie, winning the 2006 Tony Award for Best Actress in a Musical for her performance. The production was nominated for a further 10 Tony Awards, including Best Musical and Best Score.